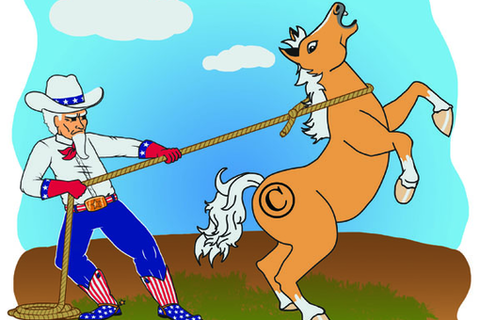 During the week of SXSW in 2011, the White House’s Intellectual Property Coordinator, Victoria Espinel, released a whitepaper calling for increased government crack-down on copyright infringement. Espinel’s paper called for: Stronger criminal laws related to online copyright infringement; increased surveillance of foreign websites marketing to US consumers; enabling law enforcement to wiretap purported “infringers” and share the results of those wiretaps with private “rightsholders.” Law makers and big media rightsholders have concerns that piracy causes “economic harm and threaten the health and safety of American consumers.” The legislature is reviewing the PROTECT IP Act and the Stop Online Piracy Act to address these concerns.Are the proposals commensurate with the purported threat? Will they even address the threat? Are the invasions on consumers’ rights necessary and do such privacy concerns outweigh the supposed threat to the “health and safety” of American consumers? David Snead’s practice focuses exclusively on representing companies and other entities active in internet infrastructure. In his 15 years in this area, he has represented these companies both in-house and as outside counsel, with clients in over 20 countries. He has broken down complex legal issues at over 100 conferences. His transnational Internet experience has been recognized as the sole U.S. legal representative to the ENISA Group on Cloud Computing Security. Mr. Snead received his J.D. in 1991 from Georgetown University Law Center. He is a member of the bars of the District of Columbia and State of New Mexico. Jonathan Bailey is a copyright and plagiarism consultant and owner of Copybyte (http://www.copybyte.com) who spends his time tracking content on the Web, dealing with plagiarism/infringement and helping clients devise productive strategies regarding their work. He is also the blogger at Plagiarism Today (http://www.plagiarismtoday.com) and blogs there about copyright and plagiarism matters. Before joining Lorance & Thompson in 2010, Katie practiced as a solo attorney and dedicated the majority of her practice to assisting and serving small businesses and individuals with their copyright, trademark, intellectual property, and business litigation needs. She adopts the entrepreneurial values of her clients and acts as a champion for them in their efforts to grow and protect their intellectual property and good will. Because her practice was a small business, she is able to identify with and better serve her clients’ unique needs. Prior to having her own firm, Katie practiced for five years with a Houston boutique patent litigation firm. Although her practice started with patent litigation, she became involved in much of the firm’s trademark and copyright cases and developed a keen interest in those areas of the law. Katie is married to her wonderful partner in crime, Chris Sunstrom who is a Senior Manager at Enaxis Consulting of Houston and serves numerous major energy companies. Katie is the mother of two sons, Evan and Henry, and enjoys chasing them, slaying dragons and getting bad guys in her spare time. Katie is actively involved in the revival of the Independent Order of Odd Fellows Thomas J. Rusk Heights Lodge #225. She is involved with the Houston web and startup community as well as the Support Local Grow Together (SLGT) movement. My practice is mainly in civil litigation, particularly in the growing area of Internet law. As such, I have worked on matters involving privacy rights, intellectual property, defamation and other issues that arise over the Internet. Particularly, I have represented numerous defendants is mass doe copyright infringement cases involving alleged downloading on BitTorrent. Further, I have aided the Electronic Frontier Foundation, EFF, as local counsel in several matters involving individuals’ rights. Additionally, I worked on behalf of a John Doe party in Stone v. Paddock Publications, Inc. where the First District Appellate Court of Illinois reversed the trial court’s ruling that John Doe’s identity needed to be disclosed in regard to political commentary he made on the Internet. Patrick O'Keefe is the founder of the iFroggy Network (ifroggy.com), a network of websites covering various interests. He has been managing online communities since 2000 and is the author of "Managing Online Forums," a practical guide to managing online forums, communities and social spaces. He has been responsible for the cultivation of communities like phpBBHacks.com, KarateForums.com and PhotoshopForums.com. He blogs about online community at ManagingCommunities.com, his favorite record label at BadBoyBlog.com and more at patrickokeefe.com. On Twitter, he's @iFroggy.